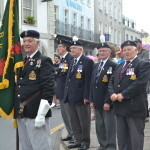 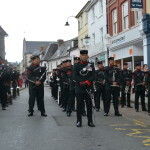 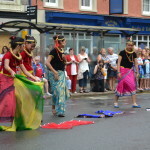 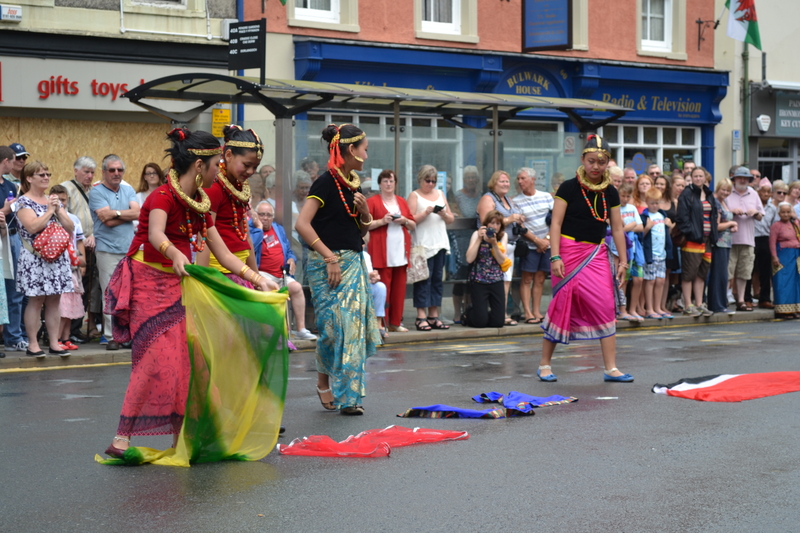 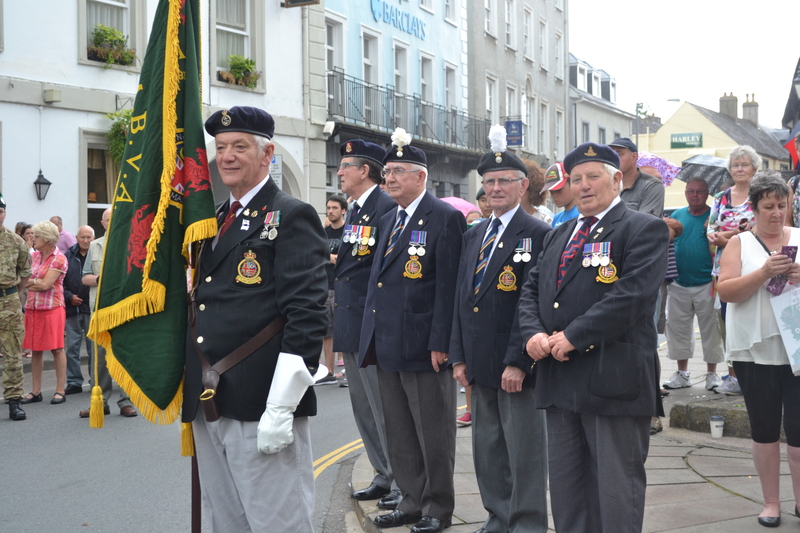 The people of Brecon lined the streets yesterday, 20 July 2014, to watch the town’s 29th annual Freedom Parade. 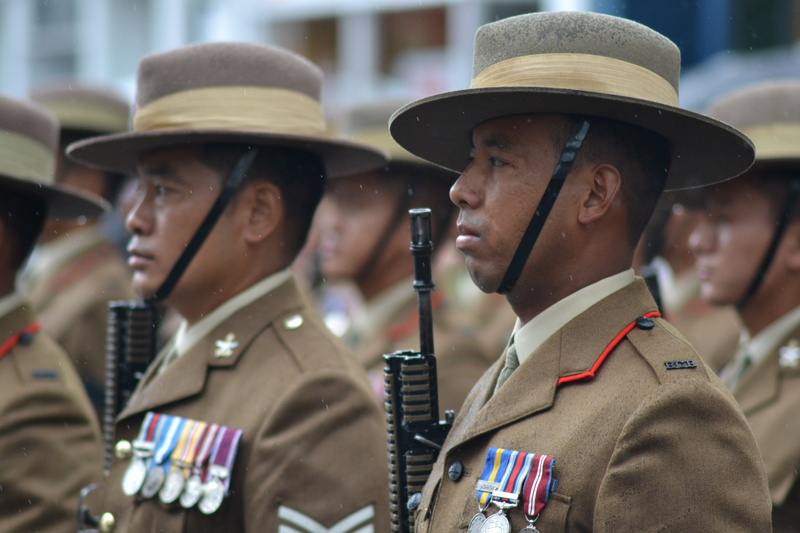 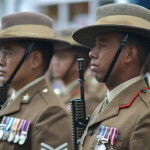 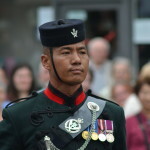 The event included a parade, traditional dances from children and wives of Gurkha soldiers, and a demonstration of the Khukri form. 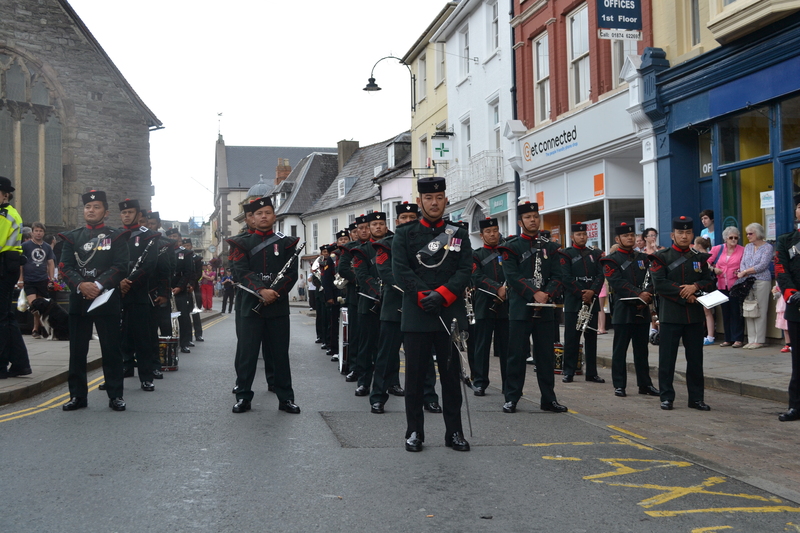 The Mayor of Brecon gave a warm speech talking about the long relationship between the town and the Gurkhas. 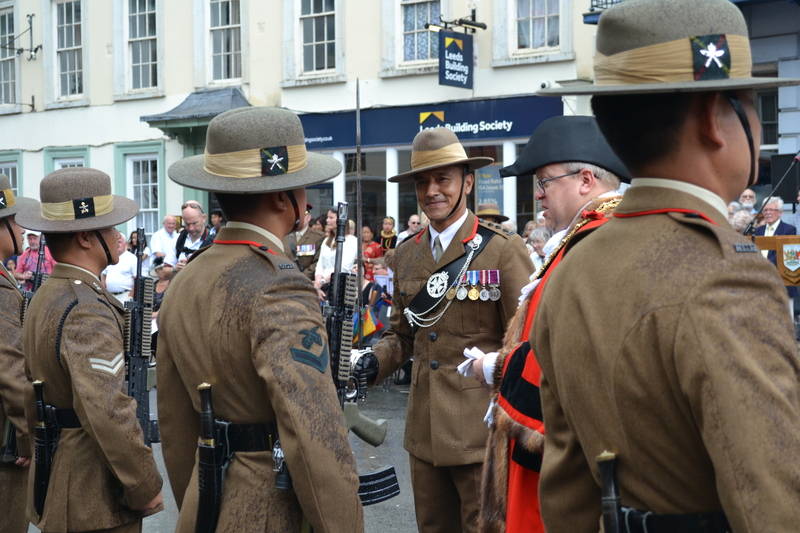 He also inspected the parade along with the Lord Lieutenant of Powys, the High Sheriff of Powys and Brigadier M J Gamble, Commander of 160 (Wales Brigade) and Lt Col J P C Robinson RRF, Commanding Officer of the Infantry Battle School. 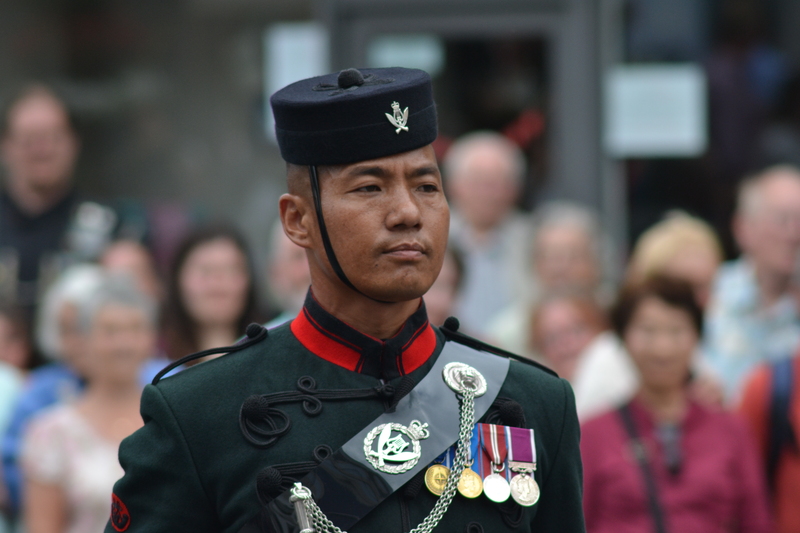 Captain Dhalindrabahadur KC, the 2IC of Training Support Division had the honour of being Parade Commander. 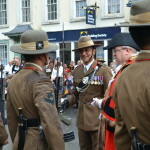 The various dignitaries, officers and guests were invited to the town hall for a reception and lunch afterwards.